Hey y'all! How's it going? 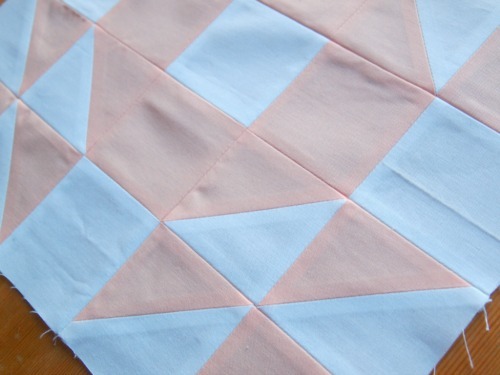 Today I want to share a new free block pattern with you. It's courtesy of the lovely people at Fat Quarter Shop and is called the Single Wedding Ring. For my test version of this block I decided to stick with solids for both fabrics, which isn't something I normally do. I'm usually all about the bold colour and prints! 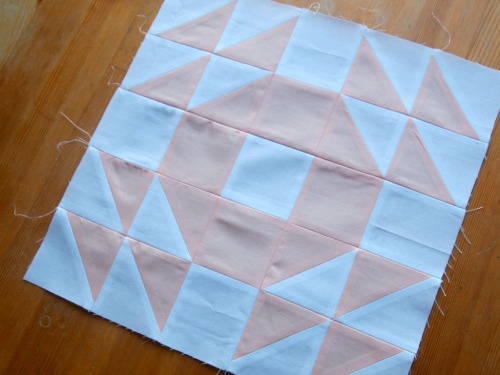 I thought using just solids would work really well for this block though and I think I was right. I actually had quite a lot of fun putting this block together! I don't know what it is about me and HSTs but I'm pretty wild for them... you know, except that trimming part! 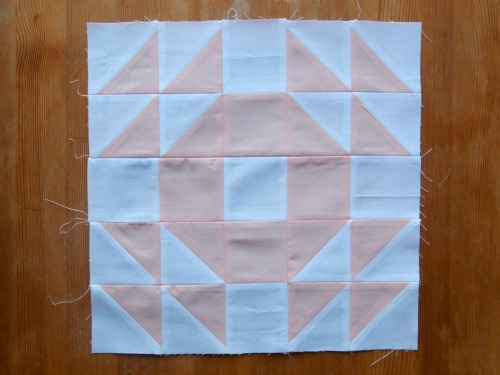 I find myself using HSTs in a good 75% of the quilts I design, and I always think I must be a little bit crazy. The free pattern for the Single Wedding Ring block can be found here, however if you'd like a full pattern with more setting options you can purchase it from FQS or even purchase a kit if that's your jam. This block is part of the FQS' Classic and Vintage series. If you've been following along with this one, you'll know that there are also video tutorials for each block and that this is the fourth so far. If you're a visual learner or a newer quilter who needs a bit of help with the steps, then these videos are perfect for you. The Single Wedding Ring video can be found here but be sure to check out the rest of FQS' great videos! So pretty. Love the soft color.